New Delhi:(Page3 News Network)-Shri Harish Rawat today took over as Union Minister of Water Resources. On his arrival at the office of the Ministry of Water Resources in Shram Shakti Bhavan in New Delhi, Shri Rawat was received by Secretary, Water Resources, Shri D.V. Singh and other senior officers of the Ministry. Shri Singh briefed the Minister about the functioning and priorities of the Ministry. Later talking to Media persons, Shri Rawat said that his priority will be to increase availability of water and promote its conservation. Emphasizing that the water bodies in the States have to be preserved in active coordination with the States, he said the Ministry of Water Resources has formulated certain national projects which will be implemented on priority basis with 90% Central assistance. The Minister, while describing the situation of ground water in the country as critical, said that there is a need to develop ground water management mechanism to check its misuse. He underlined that in the 12th Plan priority will be given to prevent misuse of ground water in the country. Shri Rawat added that aquifer mapping being undertaken by the Ministry would serve as an important tool in this direction by providing information on availability of ground water to the people in their area. The Minister informed that the draft legislation is ready for setting up a permanent water disputes Tribunal to resolve the water related disputes amongst States in an expeditious manner. Regarding inter-liking of rivers, he said, the Government will pursue with the States on such proposals. For this, he added, a conducive atmosphere has to be created. 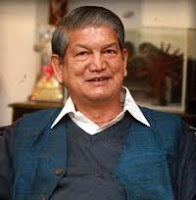 Shri Rawat also said that a fresh date will be sought from the office of the Prime Minister to convene the meeting of National Water Resources Council to adopt the new National Water Policy and implement it in consultation with the States. He also emphasized on achieving the targets of National Water Mission during the 12th Plan particularly increasing water efficiency by 20%. Shri Rawat emphasized on making the functioning of the Ministry more participatory and make people aware of judicious use of water.